Doosan Industrial Vehicle has today announced the promotion of Tim Waples to vice-president and CEO of the company’s expanded UK operations. The new role was confirmed by Dr Keunbae Park, head of Doosan Industrial Vehicle, one of several senior figures who travelled from Korea to attend the company’s UK Vision & Strategy conference. 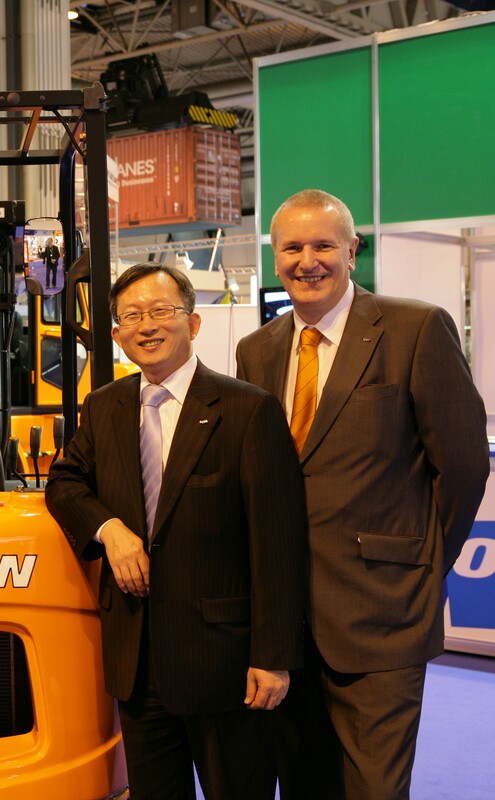 Mr Waples’ new role gives him overall responsibility for Doosan’s entire UK operations. This includes multi-million pound acquisition Rushlift Limited which added a leading national forklift supply and service business to DIV UK’s core import sales business. Mr Waples has overseen the initial integration of the two businesses following the completion of the deal in March. Mr Waples will be supported in his new role by Graham Farquhar who will be in overall day to day control of Rushlift Ltd as its managing director and chief operating officer. The two-day Vision & Strategy conference marked the culmination of phase one of the integration process. This had focused on engagement with all employees and customers of both Rushlift Ltd and DIV UK, as well as starting work on making real the synergies identified during the acquisition due diligence. 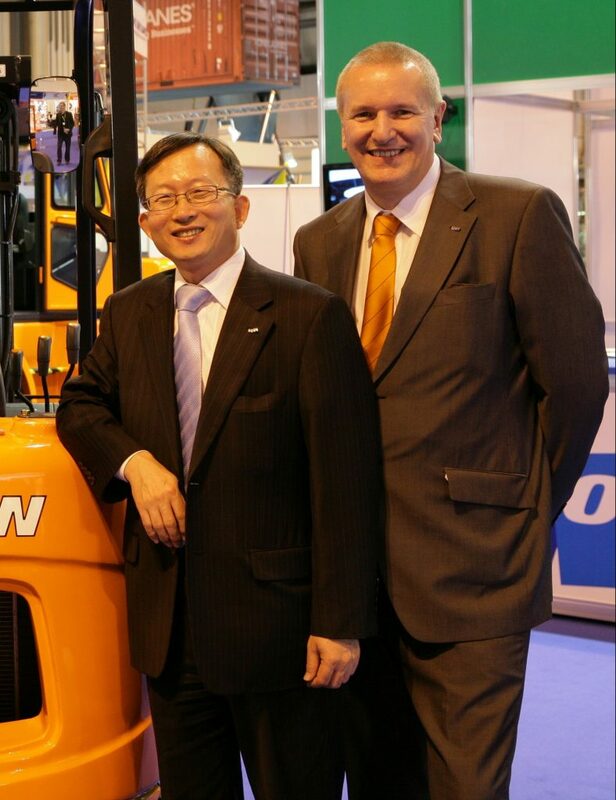 Day one of the conference was attended by the directors and senior managers from DIV UK and Rushlift Ltd. Each made divisional presentations to the executive directors from DIV and parent company Doosan Corporation, reflecting the forklift division’s importance to Doosan’s wider infrastructure support business. Day two brought together, for the first time, 66 directors, managers and team leaders from DIV, DIV UK, Rushlift Ltd and DIV UK’s first owned dealership, Genesis, to hear the future path intended for the new company. Dr Park and Doosan Corporation’s managing director of HR, Mr YD Hong, outlined the qualities and values needed in Doosan’s people and how the company will develop a successful career path for each employee, ensuring the future success of Doosan.